Coming up with a good title is not easy. Ideally, it will attract potential readers, suggesting what kind of book it is and what makes it different from (and better than) other books of that kind. 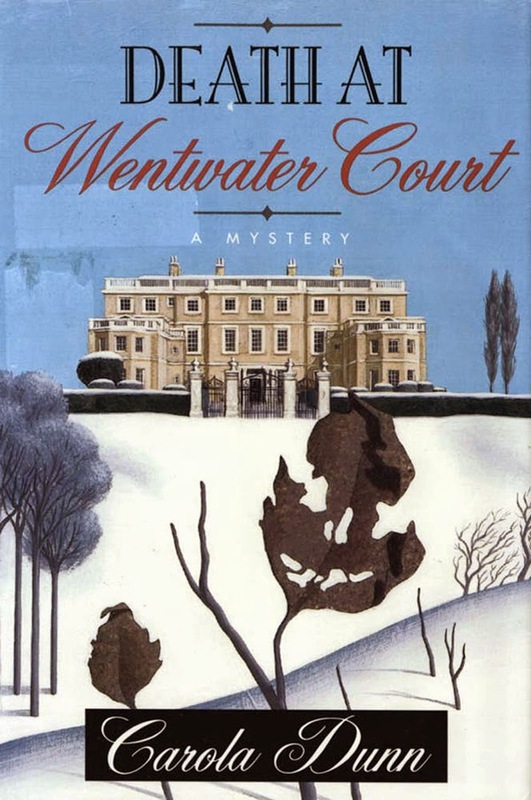 My two absolute worst titles are my first Regency, Toblethorpe Manor, and my first mystery, Death at Wentwater Court, both utterly unmemorable. For the first, I have the excuse of inexperience. For the second: I had to come up with it quickly. My plan for the mystery series was to call the books Death in January, Death in February, etc., so that after sweating over numerous Regency titles, I wouldn't have to think up another title ever again. Each murder would be closely connected with the month. The first, for instance, involves a body in a frozen lake. That notion was swatted down by my editor (though I can't complain, as he bought the book), because the publisher had recently put out a month by month anthology. Just as well, in the end, as I'm now writing the 22nd. Much the same reason changed my "Byron's Daughter" to Byron's Child. It clashed with another book called X's Daughter, coming out at about the same time. Well, that wasn't so bad, not too different. 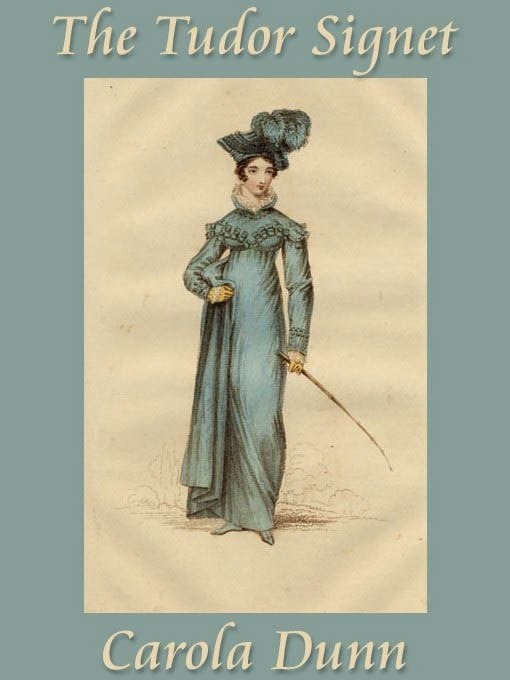 The Man in the Green Coat, a Regency spy story, kept that title for the hardcover original and the ebook. 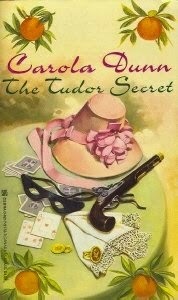 The paperback publisher didn't think it sounded romantic (OK, so maybe it doesn't) and "suggested" Gabrielle's Gamble. I hope not too many readers bought the same book twice. Another really bad one was changing The Actress and the Rake to The Lady and the Rake. I can't blame an editor for that. The art department apparently decided my title was too long. By three letters. Still more irritating was the way many of my Regency novella titles were changed by the editor without a word to me. Wooing Mariana became A Kiss and a Kitten—Ugh! He [sic] Stoops to Conquer became The Christmas Party, flat as a pancake. And yet, the one I was sure would be changed was left alone: The Aunt and the Ancient Mariner. My mystery editor pretty much left my titles alone. Some of them were in fact the starting point for plotting. Styx and Stones, for instance, came to me in a flash of inspiration, and obviously it had to be a poison pen story. Die Laughing-->nitrous oxide-->dead dentist. Mistletoe and Murder was originally only a working title. In those days my editor (St. Martin's) wanted a title to put in the contract (now they're just numbered). In the course of writing the book, I came up with As Red as Any Blood, a quotation from the carol "The Holly and the Ivy," which he loved. However, I happened to mention it to my paperback editor (Kensington), and he preferred the working title. I told my St. Martin's editor. He said all the sales reps were in town for some gathering and he'd put it to them. They voted for mistletoe over holly and ivy, three to two. And then there's the occasional lapse in communication. Black Ship in the US came out as The Black Ship in the UK, and The Valley of the Shadow US came out as Valley of the Shadow (my preference) UK. Just one time I absolutely could not come up with a title, for one of the Regencies. My editor suggested Ginnie Come Lately, catchy and appropriate—and I didn't tell her it was American, not to mention anachronistic. "Johnny-come-lately" dates from the 1830s. When my Regencies came out as e-books, I had the opportunity to put right a few editorial missteps. I left Toblethorpe Manor and Wentwater Court alone, however. I wish my editors had suggested before the original publication that I might try for something a little more scintillating. An interesting piece, Carola. Obviously, it's difficult to avoid duplicating titles, but I wish I'd checked on Amazon before I titled my first romantic mystery, 'Breaking Faith', as there are many novels, some by well known authors, with the same title. These days, I always run prospective titles through an Amazon search, just to see how popular they are. I do this too, along with Googling my characters' names to make sure they don't already belong to someone, ahem, notorious. It's also a good idea to check titles again at the very last point at which you could still change yours - someone could come along with the same title at any time. Oh, don't I know it! Dead in the Water was the perfect title--not only a boat dead in the water in the middle of a race, but several bodies floating down the river. I found out too late how many other authors have used it. On the other hand, Styx and Stones was mine first! Checking Amazon and the Web are good strategies in helping to pick a title. The most recent thriller of The Homeland Connection novels is titled Gasline, which is unique among books and sorts first on an Amazon search of All Products. My second novel, The Dome had the ill fortune of coming out up against Stephen King's best-selling Under the Dome. Oops. That is one of the good - and potentially bad things - about going Indy: you get to keep your title. I do investigate an intriguing title, but I hate a misleading title. I agree with googling your title idea and seeing what you are up against. Song lyrics, lines from literature, funky slogans can all make good titles. I read a mystery series Murder on Monday, etc. 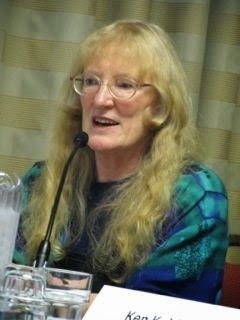 Ann Purser went through the days of the week, and is on the hours of the day. Then there is Grafton's alphabet. Anne Perry used street and location names for her British series. Locations are good if they are unique. Sheeesh! I wish I had that many titles to complain about, Carola. I'm hoping my next tome will be competition for 'Snakes on a Plane'. Apologies for "potentional" in the second sentence--on an editors' blog yet! Titles intrigue--or at least they should. Also, one of my pet peeves is a title that has absolutely no connection to the story, particularly if that title has helped me decide to buy the book. I, too, check Amazon so that I'm not at the bottom of a list of "same names." Hard luck, Elise! Worst is when you find out too late that a book with your title just came out when it's too late to change yours. For some reason two of my Cornish mysteries have biblical titles: Manna from Hades and Valley of the Shadow. Odd, since neither I nor my protag is at all religious. Titles are hard, but it amazes me how many sound alike. ____ is Murder. Murder is ____.Then there's Death in the title. I can't keep them all straight and tend to overlook all of them for that reason. Yes, I try to avoid Murder and Death since Death at Wentwater Court and the Murder on the Flying Scotsman. Except for A Colourful Death, which I like to think is a bit more memorable! Besides Death at Wentwater Court, I have Murder on the Flying Scotsman and A Colourful Death, but I do try to avoid those words! Don't be too hard on "Death at Wentwater Court"! It was the very first Daisy book I ever saw. I found it in a thrift shop and when I saw the title and cover, I was delighted and grabbed it immediately. I've been buying and reading the others (in order, of course) ever since!